The Fallstreak Hole or Hole Punch Cloud is a combination of amazing and rare cloud formation. The Hole Punch Cloud appears like clearings in the cloud cover or clear circular, rectangular or pentagram shaped patches in the sky. When they are formed they look like UFOs, sky holes and cloud circles. 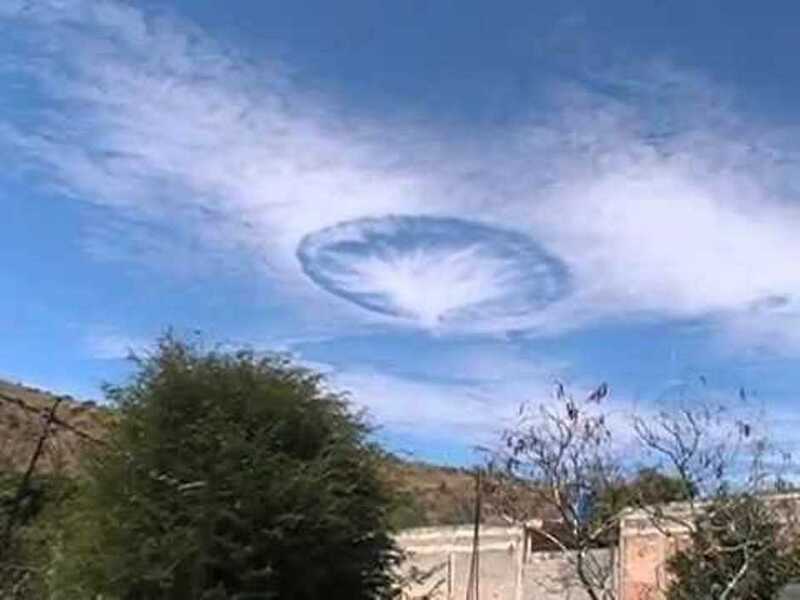 These cloud formation is also called as Punch Hole Cloud, Skypunch, Canal Cloud or Cloud Hole. The Hole Punch Clouds are formed when part of the water of the cloud freezes into ice crystals. A Fallstreak Hole is formed when the ice crystals grow large enough and stream out of the hole in a constant pattern. The Hole Punch Clouds are very rare. Because of their unusual appearance they have been mistaken as UFOs. These Hole Punch Clouds have been seen recently in Romania, Moscow, Malta, West Palm Beaches (Florida, USA) and Australia. 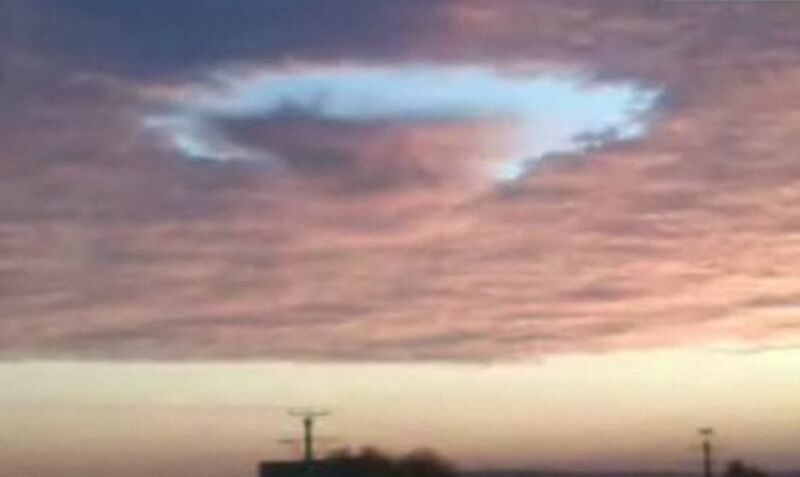 How Is Hole Punch Cloud Or Fallstreak Hole Formed? The Hole Punch cloud or the Fallstreak Hole is formed because of a rare atmospheric occurrence. These holes are formed when the temperature is below freezing. Though the temperature is below 0˚Celsius the cloud droplets do not freeze due to the lack of ice nucleation. To freeze and convert into solid form, water needs something like a nucleus and without it the water will not freeze even if the temperature drops to -40˚Celsius. Planes passing through this layer of cloud can start the freezing process of the ‘super cooled’ water. When the plane passes there is a large reduction in the air pressure over the wings and the blades of its propellers. This cools the air quickly and the momentary cooling lowers the temperature to the extent that the droplets start to freeze spontaneously. These ice crystals grow quickly. When they freeze there is a little amount of heat generated that cause the water droplets around it to evaporate and create a hole. The hole then expands outward as the surrounding droplets start freezing and a stunning view is created. Sometimes rainbows are also seen with the fallstreak clouds. With the fallstreak hole the sky appears to have opened up the way to heaven.